It’s been a while since I actually updated our 2012 project list and I was pleasantly surprised when I looked at it and realized we’ve already knocked three more things off the list since our last update. I guess we need to come up with some more projects (which we have – keep reading below). 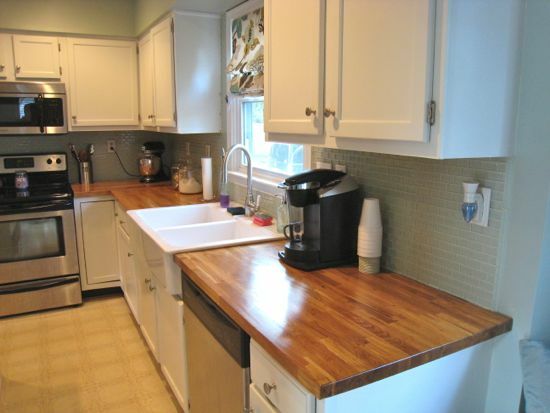 1) Install “Arctic Ice” back splash from Home Depot in the Kitchen. Done! Go Tommy! 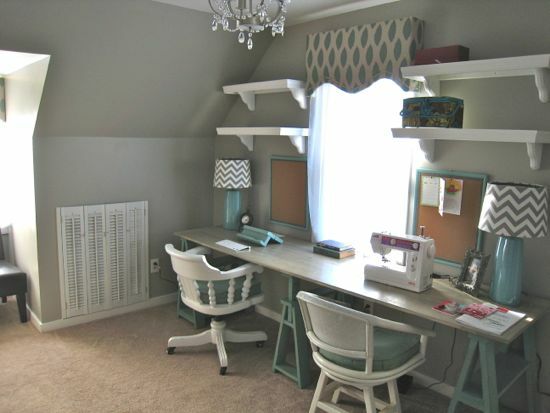 3) Turn our fourth bedroom into an office. It’s currently empty, but we can’t wait to build dual work stations and shelves. Done! 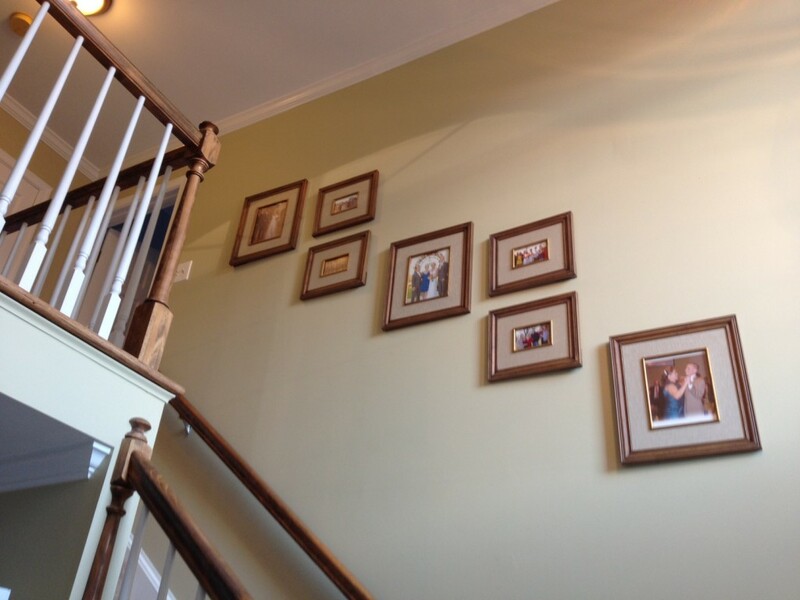 4) Hang some “ceiling medallion” wall art along the staircase in the foyer. We decided to do a Pottery Barn frame gallery instead. 5) Remove the silver nailhead trim from the window cornices in the family room and spray “antique bronze” then re-apply. (Long story short, we’re still not 100% sold on those window cornices). 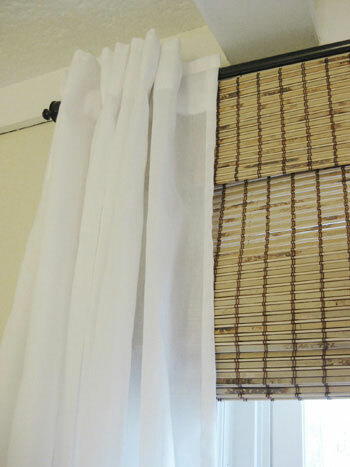 Swap out brown Venetian blinds for white or sheers. Sort of done. I actually sold two of the window cornices with the nailhead trim and moved the other two up to our home office. 6) Re-paint the family room a richer shade to complement the dark leather IKEA couch and the tan couch from Ashley Furniture. Bye bye mint green – I loved you for a short time. 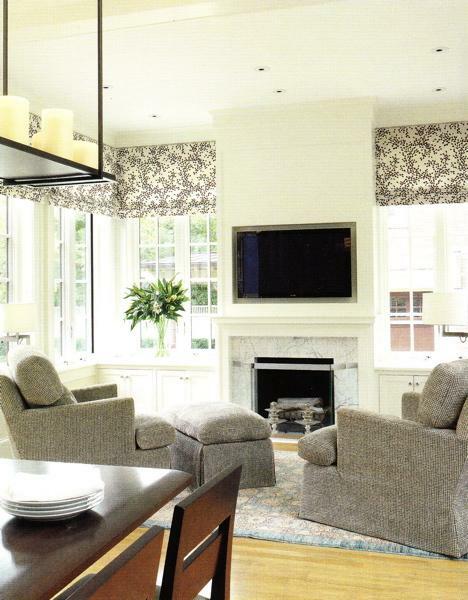 7) Replace the brown blinds in the family room with bamboo roman shades. Natural, lighter, organic. Image borrowed from Young House Love. 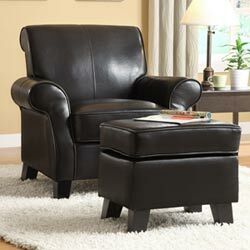 8) Purchase a club chair and ottoman for the family room for additional seating/lounging. 9) Mount the TV above the fireplace. I’d swore we’d never do it, and now we’re doin’ it. 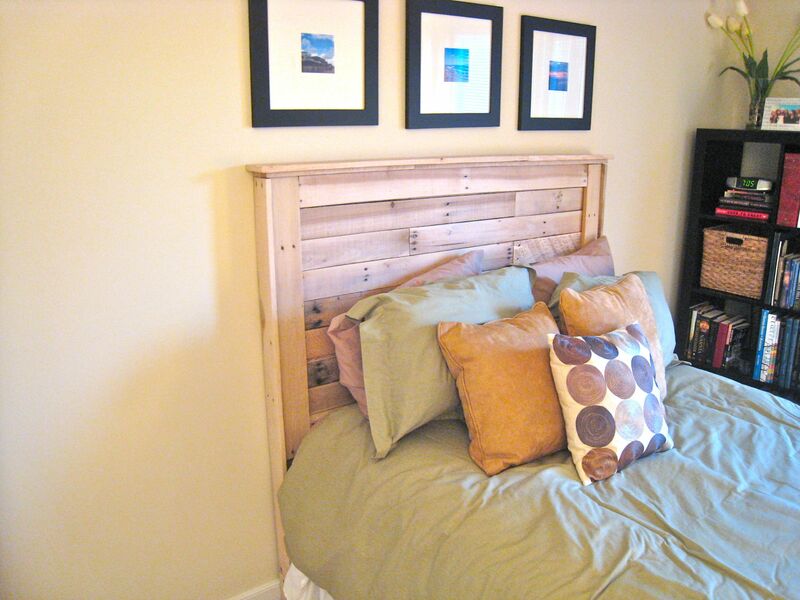 It’s the easiest way to maximize our space in a somewhat awkward-shaped family room. 10) Fix the ceiling leak above the guest bathroom shower. Pictures to come – the crack in the drywall is not pretty. 11) Update the guest room with some fresh paint, a larger mattress and new bedding. It’s the only room in the house we’ve yet to paint / decorate. 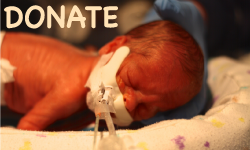 I can’t wait to see how it transforms…..
12) One additional summer project that we’re really excited about - check back next week for details.